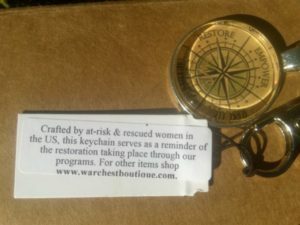 Women At Risk, International was recently featured in Faithbox through our WAR Chest Boutique! 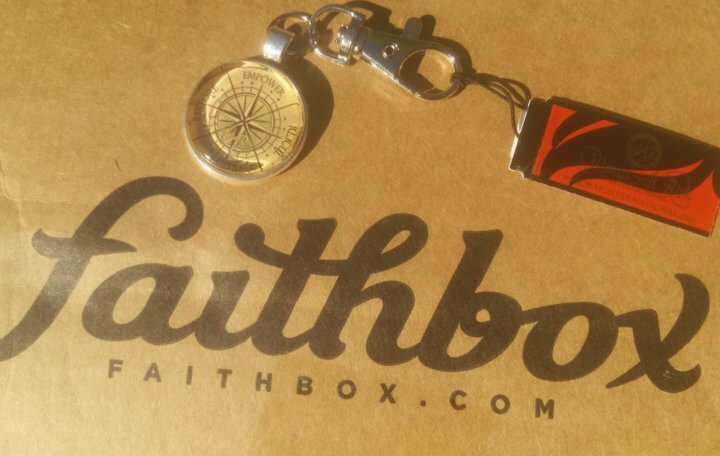 If you’ve never heard of it, you should know that Faithbox.com seeks to inspire daily Christian living by encouraging those who receive its monthly subscription box to grow in their faith and make an impact in their communities. At the heart of Faithbox is a desire to invite consumers to discover meaningful products from companies and organizations like ours that are interested in changing lives. Each month, Faithbox picks items from unique companies and organizations that, as they point out, “respect God’s people and His creation.” They have included everything from reusable water bottles to handmade and eco-friendly blankets, and more. Also included each month is a devotional written by the Faithbox team, called “Everyday Faith.” These devotionals have scriptures, challenges, and seasonal prayers. Each box purchased from Faithbox also provides three meals for hungry kids around the world through its partnership with Rice Bowls, a faith-based ministry working to alleviate world hunger. To take advantage of this special opportunity to spread the word about WAR, Int’l, the women in our U.S. Training Center worked diligently to complete the 10,500 keychain order we received from Faithbox in August 2016 for our very first wholesale order through WAR Chest Boutique. With barely three weeks to complete the project, it was all-hands-on-deck as the ladies fought to reach that daunting goal. The September 2016 Faithbox that included one of these WAR, Int’l keychains was reviewed online by Hello Subscription, and you are most welcome to view that here. To buy one of the unique keychains we made for this project, you may visit any of our three boutique locations in Naperville, IL, Rockford, MI, and Wyoming, MI. We are excited to share the news of this incredible blessing with you. Thanks to you and your encouraging support, we are able to expand the impact of our work and reach new heights through opportunities like wholesale. We also give special thanks to the Faithbox team for its mission of serving both organizations and community members through their monthly subscription box! To shop for handcrafted items made by and in support of at-risk and rescued female artisans from around the world, visit the WAR Chest Boutique’s website at www.warchestboutique.com.